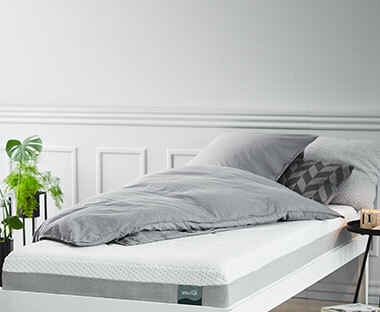 From 1979, when our first store opened in Aarhus, Denmark, JYSK has enjoyed a world-wide reputation for expertise and knowledge in sleeping culture, which continues to this day. 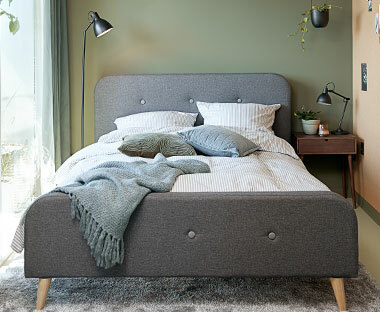 Choosing the correct bed, bedroom furniture, mattress and bedding so that you can benefit from a good night’s sleep every night is a great investment you can make for you and your family. Is your bedroom a lively, colourful space that reflects your personality or is it a haven of tranquillity and calm away from the cares and troubles of day-to-day life? Whatever your approach to bedroom design, at JYSK we can help you furnish and finish it with character and panache. Start with the basics – a colour scheme that you’re comfortable with and around which you can base your design. Look for bedroom ideas in magazines and online if you’re having difficulty narrowing down your options. Then pick the important pieces of bedroom furniture sets – the all-important bed and storage options. 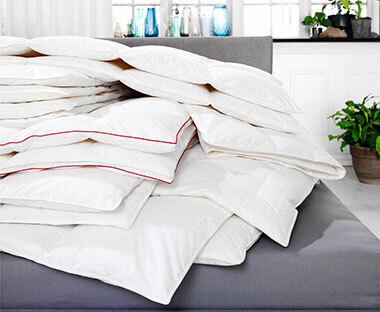 Finish by dressing your room with bedding, soft furnishings and accessories – like cushions and lamps. JYSK has an extensive selection of furniture and accessories in store – many arranged in room sets that can offer inspiration as well as the opportunity to see how pieces work together. Come and take a look!